NASA’s High Resolution Coronal Imager (Hi-C) mission, launched Wednesday, July 11 from White Sands Missile Range in New Mexico, successfully returned (as promised!) the highest-resolution images of the Sun’s corona ever acquired. These images of the dynamic million-degree region of the Sun’s atmosphere will provide scientists with more information on the complex activity found near the Sun’s surface and how it affects space weather throughout the Solar System. 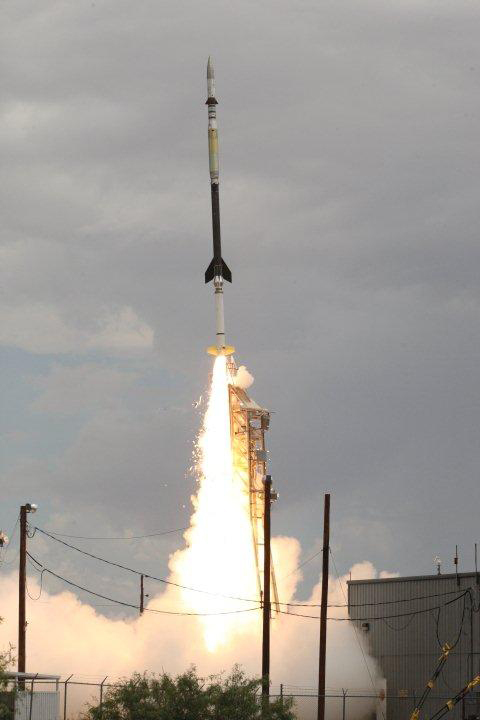 Launched aboard a 58-foot-tall (17 meter) Black Brant sounding rocket, Hi-C was equipped with exceptionally well-made mirrors — some of the finest ever made, according to the mission report. These mirrors allowed Hi-C to image a section of the Sun’s corona in extreme ultraviolet light with a resolution of 0.1 arcsec/pixel, distinguishing features as small as 135 miles (217 km) across. That’s five times the resolution of SDO images, or any previous space telescope for that matter. That’s like the difference between watching a program on a tube television and an HD flatscreen monitor. “These revolutionary images of the sun demonstrate the key aspects of NASA’s sounding rocket program, namely the training of the next generation of principal investigators, the development of new space technologies, and scientific advancements,” said Barbara Giles, director for NASA’s Heliophysics Division at NASA Headquarters in Washington. During its 620-second suborbital flight, Hi-C took 165 images of a section of the Sun’s corona 135,000 miles (271,000 km) across, capturing wavelengths of light at 193 Angstroms emitted by the Sun’s super-hot 1.5 million kelvin corona. The images were focused on a large sunspot region, whose position was accurately predicted 27 days prior to launch. Even though Hi-C’s flight only lasted ten minutes, of which 330 seconds were used for acquiring images, the amount of data gathered will be used by researchers for months. Read more about the Hi-C mission results here.